2 Disc edition. Comes with outer slipcase. Battle Royale was a film which created huge amounts of controversy on its original release, mainly due to the fact that it featured school kids who had to kill each other. Not a situation many parents would want their children in, but with the massacres that had been happening around the world, like Columbine, the film certainly managed to hit a nerve. With its social commentary on Japan, and the heavy doses of violence the film worked on many levels. A few years later we are given Battle Royale II, a film with the sad credit of being Kinji Fukasaku's last film, as he died a short time into the filming, leaving his son Kenta to take the helm and complete the film. The most difficult task for this sequel would be for it to compete with the original. The original had the shock value of seeing the children forced into the situation where they had to kill each other, so that in itself wouldn't be enough for part 2. Something had to be different to make it work as well, and what would the underlying message be this time? 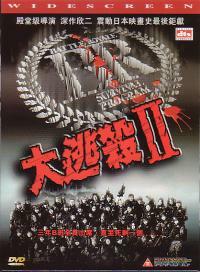 Unfortunately, this is where Battle Royale II immediately falls short of its predecessor, there isn't really anything new here to make it stand out, distinguished from part 1. It is essentially more of the same stuff, but with a couple new spins on things thrown in. 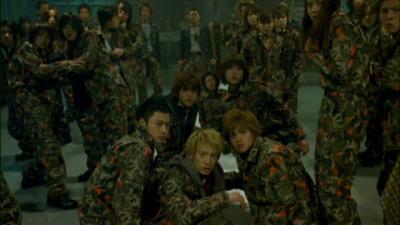 In this film, the main survivor of the previous Battle Royale, Nanahara, has formed the Wild Seven, a group of terrorists who are fighting against the adults who enforced the BR Act. After being responsible for some catastrophic terrorist acts, the government decide that he must be killed, but rather than have the army storm his island hold up, they 'recruit' in another school class for the BRII Act. These kids must now kill Nanahara within 3 days. That is their objective, and if they succeed they will be allowed to go free. The explosive collars from the first film make another appearance here, but this time there is a slight twist with them. 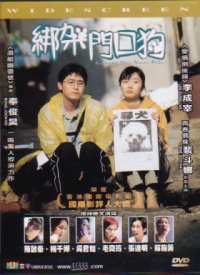 The collars are paired, and when one person in the pair dies, the other person's collar will explode too, so the children must work as a team in order to survive. That is the basic story for this instalment, and I've covered in that summary the basic innovations for the film - the paired collars, and the children fighting the terrorists and not each other. With it not really being that different to the first film, the shock value is not nearly as strong, and there isn't nearly as much of a social commentary this time round either. As such Battle Royale II simply descends into being an action film, with less power than before. 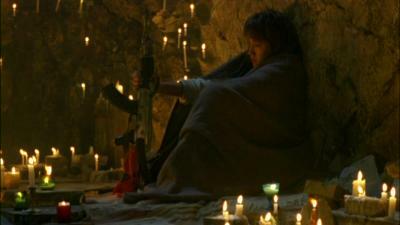 While those extras layers may not be there, as far as being an action film goes, Battle Royale II does score very well. There is a lot of action, lots of guns, bullets, explosions, blood splattering, and a high body count once the film gets going. So much so that I imagine most action junkies will be sufficiently entertained. The action comes in many set pieces, but the main one is probably the beach-landing scene. 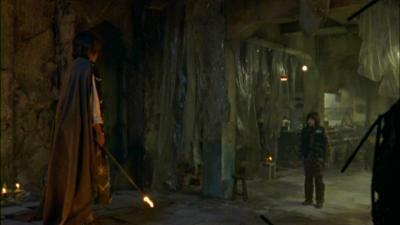 This is also probably the most powerful scene in the film. When watching this scene, it reminded me so much of the beach landings at the start of Saving Private Ryan, only here there weren't as many people. Regardless the children are pretty much picked off left, right and centre as they try to run up the beach. Obviously as one of them is killed, their collar partner also is killed, which has the unfortunate result that a large chunk of the children are killed in this scene. While it is probably realistic for the situation, it isn't too great for the film in my opinion as the deaths of most of the 'faced' characters peak too early. The body count increases drastically towards the end of the film, but the majority of those people are 'faceless' drone army guys, rather than the children you are introduced to at the start of the film. What makes the scene so powerful though is that, like in Saving Private Ryan, it is harrowing to watch people being forced to run up a beach and being killed on the way, making their task seem so futile. This feeling is increased through the fact that this time it is children. Imagine the D-Day landings were made by loads of 15 year olds, it just seems worse with children than it does with adults. The rest of the action is all gun based, with bodies being shot all over the place, but it does its job well enough to be mindlessly entertaining. Despite the action being entertaining, while watching the film I did find myself questioning some of what I was seeing. The kids who were brought in to fight against the terrorists are nothing more than that, kids. Yes they are from a particularly rough school, but that school didn't teach them military tactics or shooting. Despite this, by the end of the film some of the main characters are able to pick people off with their machine gun as if they were highly trained, and indeed seem more adept to the fighting than the trained army guys. Even when the army guys overwhelmingly outnumber the terrorist kids, with particular focus on the very last action scene, the few kids still are able to best the army. Ok, so maybe I'm thinking too much in this film and I should really just switch my brain off and let it soak in the action and violence, but it would be nice to have a bit more realism. I've also stated that Battle Royale II doesn't have as much of a social commentary or as many layers to the film as its predecessor had, but there is one thing that the film does comment on: USA, and not in a good way. Certain scenes in the film could definitely be seen as being very anti-America. America is only mentioned once near the beginning of the film after a lengthy list of other countries have been named, and have been stated as having one thing in common. This thing in common is that America has bombed them all. 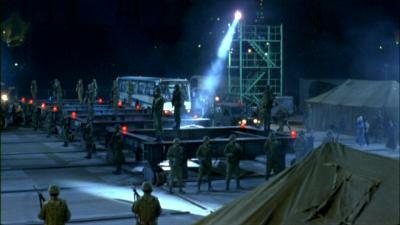 Later in the film in a similar scene, but with more negative feeling, America is not named, but the characters refer to "that country" instead. It is quite obvious that they are indeed meaning America, but it is never explicitly stated. Regardless, a lot of what they talk about probably is referring to America's (unwanted?) presence in the Middle East and the like, and the general opinion of a lot of people towards America's actions in places like that. It is basically all negative comments. As a side note, I recall hearing that both this film and the first film are not banned in the USA, as was thought by quite a few people, but are actually simply not being made available to the USA by the film makers. They've chosen not to let the film be distributed in the USA, possibly as another act of protest against them. If this is true, then there are definitely some very heavy sentiments felt towards the USA. Acting wise, Battle Royale II is very much similar to the first instalment, in that there are a lot of kids who, rather convincingly, act scared or terrified for most of the film. Not that I blame them, cause should I have ever been shoved in a similar situation I'd be scared s**tless. Tatsuya Fujiwara, as Nanahara, is much moodier this time round, probably because his character is feeling a little guilty for all the lives which he has been responsible for taking, and this makes him much more depressing to watch than before. Everyone else is pretty much just your typical scared kid, with each one having a slightly different additional way of being. There are the ones that are a little more confident and risk taking than others, the ones who are beyond scared but simply terrified beyond belief, the ones who are more cowardly than others... but they are all scared. By far the most ridiculous character was the Teacher. In the first film the teacher who explained the BR Act to the kids was played well by Takeshi Kitano, but this time round the Teacher who explains the BRII Act just does not come across in the slightest bit believable. The Teacher is so ridiculously over the top that I found myself starting to think that they were making this film a comedy. His gestures, his voice intonation, his actions, none of them really seem fitting for the situations nor do they seem like the way anyone would really act. A way of describing him would possibly be to imagine a much more physically dominating Jim Carrey and put him in that situation. If you are imagining that and are thinking that it would simply be wrong because it would be so out of place, then you are imagining correctly, as for me that is exactly how this Teacher is. While I've got no doubt that the actor who played the teacher can act, I don't understand why the director would have wanted him to be so ridiculous. If you treat Battle Royale II as a film that should compete with its predecessor on every level, then you are going to be disappointed - as many people have been. However, if you try to just treat it as a brainless action film, with a grudge against America, then I believe that you will enjoy it. There is a lot of action, lots of explosions, and a high body count. At 2 1/4 hours long, it is a touch too long and shows this by dragging a bit in places. Regardless, it is still entertaining action fodder. I chose to watch the film with the DTS audio, and damn it sounded good! All the surrounds are used frequently with their own discrete effects, bullets whiz all around the sound-stage, explosions are all around you and the subwoofer is given a good work out too. All the sounds are very crisp sounding, and the volume balance between the speech and effects is good. This is an audio track that simply rocks!! The subtitles are almost on par with this, but just not quite. There are a couple of missed letters here and there in the text, but that is about it. The rest of the time they are practically perfect in spelling and grammar. On the whole these are top subtitles. The film print is a very nice anamorphic widescreen transfer. It is very clean, with hardly and speckling or anything like that throughout the film. Detail levels look quite high, as the print is nicely sharp, grain levels look minimal as I don't recall seeing much in the way of this and colours are well defined and vibrant. The only exception there is the black levels. The blacks don't look that deep and are more dark grey than black. Shadow depth is decent enough, as you can still make out detail in the shadows. So other than blacks not being black enough, the print is very good in my opinion. Being a 2-disc edition you'd expect a reasonable amount in the way of extras. Well, while there are quite a few extras, there isn't as many as you would expect to merit the 2nd DVD. 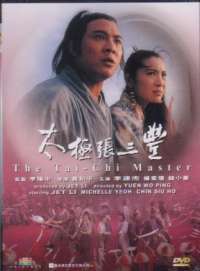 On the 2nd DVD there firstly are Star Files for both Kinji Fukasaku and Takeshi Kitano, in Chinese and English. Next there is the obligatory trailer for the film. Then there is BRII: Behind the Scenes. This runs at about 8 minutes in duration, is in Japanese and has English subtitles! This little featurette shows a lot of the training the kids had to go through for the film, and how strict things were for them. It is very interesting to see this, as I didn't really appreciate how much went into the background for the actors and actresses. Next up is the misleadingly titled BRII: Making Of. This isn't a Making Of at all, it is just excerpts from the film. The last featurette is the BRII: Gala and Orchestra. This runs in at about 18 minutes in length, and starts of with approximately 7 minutes of a live orchestra playing some of the classical pieces used in the film, at the film's gala premiere. The remainder of the time the cast give a little talk about their experiences etc. in making the film. 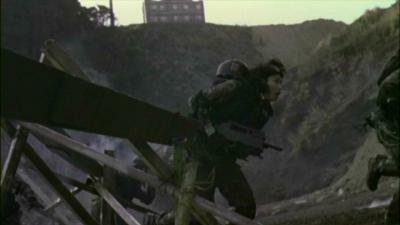 Then there are trailers for the first Battle Royale and Ghost System, and lastly a photo gallery. Decent enough extras made better for English speakers by having English subtitles for all the featurettes! By going through such a traumatic filming, Battle Royale II was always going to struggle to be as memorable or groundbreaking as the first film. It struggled and failed, but it does put up a fight. The body count is much higher, there are more explosions and guns, but not as much shock value. As another piece of violent social commentary it doesn't do that well, as a violent action film it does however satisfy.